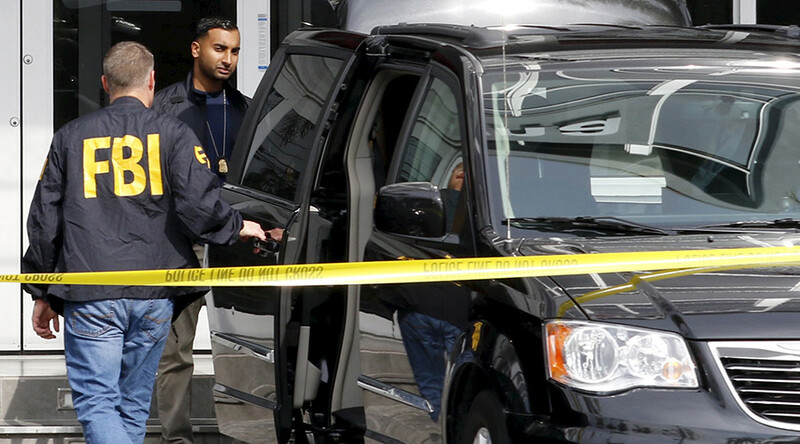 Federal agents have arrested two Iraqis on terrorism-related charges in Texas and California. Both men arrived in the US as refugees, but retained their links to terrorists, making trips to fight in Syria and providing material support for ISIS. One of the cases involves 23-year-old Aws Mohammed Younis Al-Jayab, who has been residing in Sacramento, California, since January 2014. The FBI’s Joint Terrorism Task Force investigation revealed that the Iraqi-born Palestinian arrived to the US in October 2012 as a refugee. Living in Arizona and Wisconsin between October 2012 and November 2013, Al-Jayab was repeatedly talking online about his intention to go to Syria to fight for terrorists, the Justice Department stated. Over the course of those conversations, he spoke of his experience with firearms and his participation in anti-regime fights. “According to the allegations in the complaint, the defendant traveled to Syria to take up arms with terrorist organizations and concealed that conduct from immigration authorities,” said US Attorney Wagner, according to a statement from the Department of Justice (DOJ). However, when interviewed by US Citizenship and Immigration Services, he had allegedly lied and said that he traveled to Turkey in late 2013 and early 2014 to visit his grandmother. Al-Jayab had also said that he had no links to any rebel group or militia, and was never a part of a group suspected of terrorist activities. If found guilty, Al-Jayab faces a maximum statutory penalty of eight years in prison and a $250,000 fine. Al-Jayab’s arrest and charging coincides with the charging of another man in Houston, Texas. Omar Faraj Saeed Al Hardan, 24, also a Palestinian born in Iraq, has been charged in a three-count indictment over allegations that he attempted to provide material support to Islamic State terrorists. 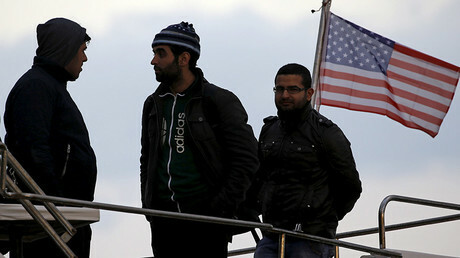 Like Al-Jayab, Al Hardan also arrived in the US as an Iraqi refugee, but a few years earlier around November 2009. He was granted legal permanent residence status around August 2011 and has been residing in Houston. Al Hardan is facing charges of attempting to provide material support to the Islamic State (IS, formerly known as ISIS/ISIL), procurement of citizenship or naturalization unlawfully, and making false statements – one count each. According to the FBI, he attempted to provide material support and resources, including training, expert advice and assistance to a foreign terrorist organization. It is being alleged that he had links to members and sympathizers of ISIS throughout 2014. When interviewed just recently in October 2015, Al Hardan lied that he received any type of weapons training, allegedly concealing his automatic machine gun training, the Justice Department said. “According to the allegations, he also knowingly responded, certified and swore untruthfully on his formal application when applying to become a naturalized US citizen,” a separate statement from the DOJ reads. If convicted on all charges, Al Hardan could be sentenced to maximum of 53 years in federal prison and face a maximum fine of $250,000. Both Al-Jayab and Al Hardan are set to appear in their respective courts on Friday. The DOJ has not made any comments on whether the two arrests are linked, but as a source has told Reuters, they were not involved in a single plot. However, the source did not rule out that they may have been in touch. The arrests in California and Texas come amid a tense atmosphere surrounding an influx of Middle Eastern refugees. Following November’s deadly attacks in Paris, a number of states voiced their opposition to accepting new asylum-seekers. On Thursday, Alabama joined Texas in its legal battle against the US government. The two states insist that federal agencies fail to comply with the Refugee Act of 1980 and do not consult with the states regarding the placement of refugees before resettling them.